Do you have questions about Medicare Supplement plans in Pennsylvania? If you’re approaching your first enrollment for Medicare, consider how a Medicare Supplement plan can help protect against unexpected medical costs. Original Medicare contains gaps in coverage from coinsurance and deductibles can be filled in with a Medicare Supplement plan in Pennsylvania. Your first question will probably be about the cost of a Medicare Supplement plan. Take advantage of online quote form by selecting “Pennsylvania” and starting your quote. If you’d rather speak with a live agent, you can find the toll-free phone number on the page as well. Most Medicare recipients obtain other coverage to enhance their benefits. Beneficiaries who don’t join either MA or a Medicare Supplement plan often have additional coverage from a job, the government, or another source. As you learn more about Medicare Supplement plans in Pennsylvania, you will understand why it is still a popular option. The best time for most people to purchase a Medicare Supplement plan is when they first enroll in both Medicare Part A and Part B. During this time Medigap plans must accept you. This Medigap Open Enrollment Period begins when you first qualify and extends for six months. You may also have other periods when you are guaranteed enrollment. The State of Pennsylvania has listed some examples that mostly include moving out of a network plan’s service area, having a current plan cease operations, or losing group coverage. In some cases, you only have guaranteed acceptance for these plans: A, B, C, F, K, or L.
Rate Calculations for Medicare Supplement Plans in Pennsylvania? Community-rated: Your age doesn’t matter as everybody in your local area gets the same premiums. Attained age: Your initial quotes and later premiums are based on your current age. Issue age: In this case, the Medicare Supplement plan premiums will only depend on your age when you buy it. Can You Use Pennsylvania Medicare Supplement Plans In Other States? One of the best things about a Medicare Supplement plan in Pennsylvania is their portability. One primary reason that Medicare recipients choose a Medigap plan is that they don’t have to worry about the network restrictions. You can find doctors outside of your city or your state that will accept Medicare and your Medicare Supplement plan. This is a significant advantage if you hope to spend your retirement traveling around the country. If you plan to move permanently outside of Pennsylvania, you will need to let your insurance company know. The national companies that we usually suggest can make transferring your policy seamless and transparent, but they may change your rates at your next renewal period. The Best Medicare Supplement Plans in Pennsylvania? Offers the most comprehensive suite of benefits and of course, usually costs the most. Still, it has held first place for a long time as the most common choice. Rising in popularity because the only thing it won’t pay for is the Medicare Part B deductible. Typically, the premium difference between this plan and Plan F more than make up the difference. Also rising in popularity. You can enjoy cheaper premiums if you are will to accept more cost-sharing. You will have to pay copays for some doctors or ER visits. Also, it won’t pay for providers who charge more than Medicare allows. Your own unique choice of the best Medicare Supplement plan depends upon your budget and how much you want to contribute to controlling costs. If you’d rather just let your insurer handle most things and enjoy plenty of freedom, you might consider Plan F or G. However; Plan N can provide you with a budget-friendly alternative that should still keep you from having high out-of-pocket costs. By now, you’re probably interested in personalized quotes and finding available insurers in your hometown. 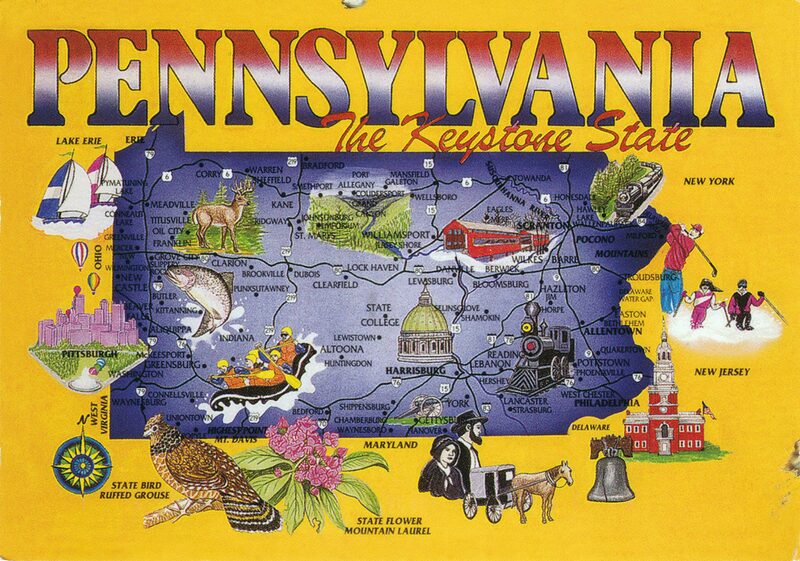 Get started by selecting “Pennsylvania” on our online quote form. You’re also welcome to call with the toll-free number so that you can ask a live agent your specific questions about Medicare Supplement plans in Pennsylvania. We will also help you with other kinds of senior insurance. We can also offer you some insight into local reviews you may see for insurers and plans. We’ve helped thousands of Medicare beneficiaries choose the right Medicare Supplement plans, and we’re standing by to work with you! Medicare mostly operates by federal rules, but each state may have their regulations that govern things like Guaranteed Issue Rights and assistance for paying some costs. For instance, you might qualify for various programs that can help you pay premiums or even out-of-pocket costs if you have a low-income and modest resources. Pennsylvania Department of Aging: This is where you can look for programs that may help you with health or premium costs. Pennsylvania Department of Insurance Medicare Guide: This outlines all of the state-specific rules for Guaranteed Issue Rights with Medicare Supplement plans.